The Revolver X4 has all the great features of the Revolver X2, but now comes with a premium vinyl top with a matte black finish. 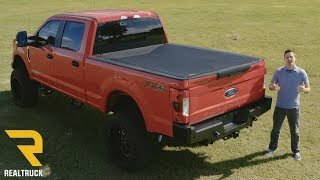 The Revolver X4 works like a roll-up tonneau cover, but doesn't need Velcro or snaps to function. This adds a simple operation and clean, flush fit profile. The Revolver X4 uses BAK's patented Rotational Locking Rails. This unique feature automatically locks the aluminum slats into the side mounting rails when the cover is fully closed. 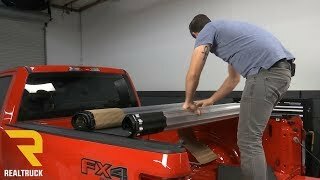 With the tailgate locked, the truck bed will be fully secured. 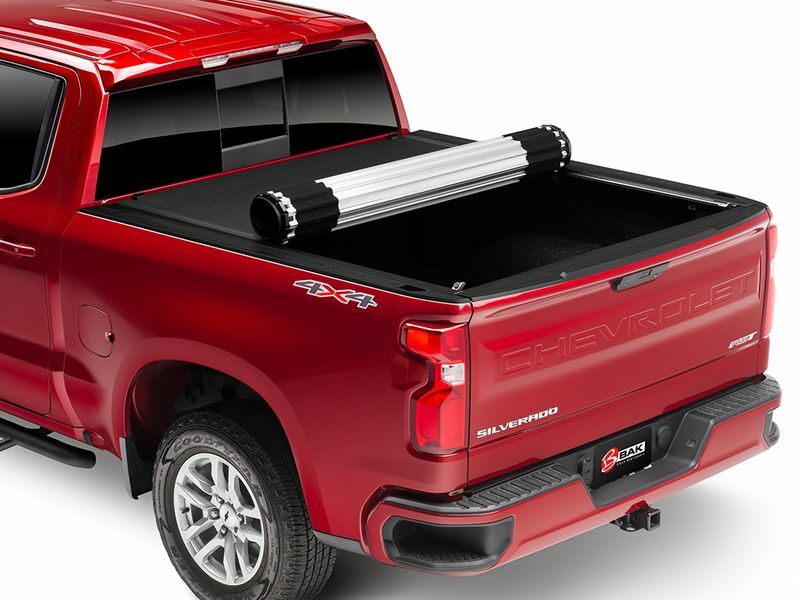 The Revolver X4 easily rolls out of the way to the front of the bed to haul larger items. Two buckle straps secure the cover in the open position while driving, while maintaining rear view mirror visibility. The automatic slam latches secure the cover to the rear rails on both sides of the bed. To open, simply pull the release cable from either side of the bed. Weather resistant seals run the length of the cover to form a tight seal to the bed caps. 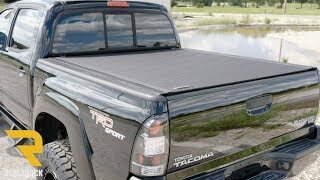 The one-piece design helps to keep water and debris from entering the truck bed. The Revolver X4 is a simple clamp-on install. No drilling or special tools needed. If you have any questions, feel free to contact us. We are available 24/7.